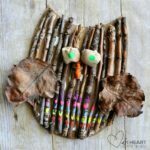 We’ve been looking for fun ways to use up all of our extra sticks after making our cute owl craft the other day. My daughter picked up one stick we had gathered that had a Y-shape on the end and she observed “Hey, this looks like ladybug antennae.” She is so clever! 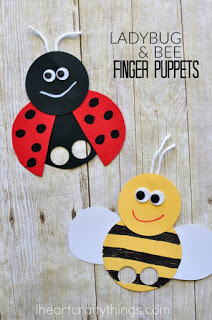 So we used up some of our leftover sticks and made this adorable ladybug stick craft for kids. 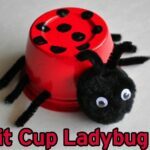 The stick antennae add such a fun touch to the ladybug craft. 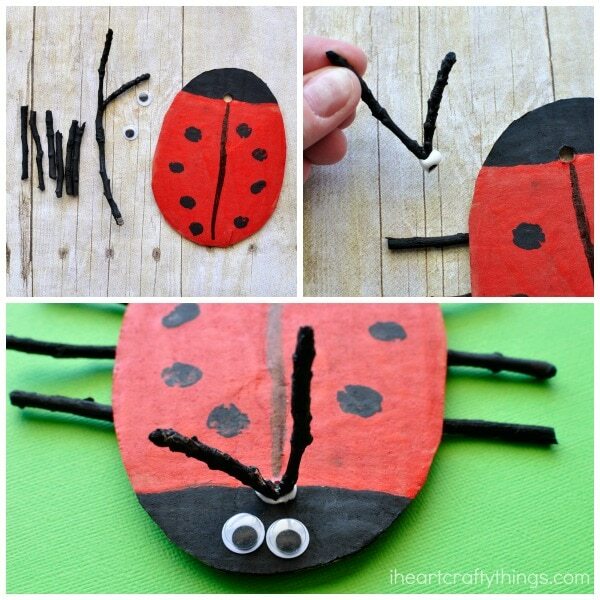 Your kids are going to have so much fun hunting for special Y-shaped sticks and then making this cute ladybug! 1. 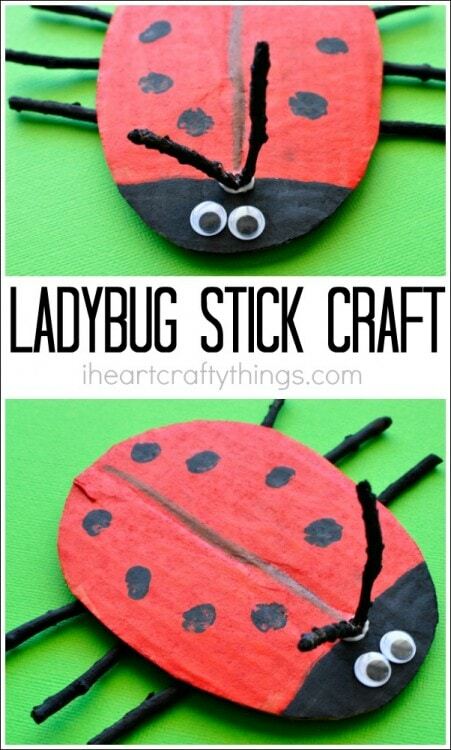 Gather some small sticks or twigs for your ladybug stick craft. You’ll want one of your sticks to have a Y-shape on the end to work for antennae and you can cut or break the rest of the sticks to get six ladybug legs. You’ll also need to cut out an oval shape from your cardboard for the ladybug body. 2. Paint the ladybug body with your red and black paint and your sticks with your black paint. Let them dry completely. 3. 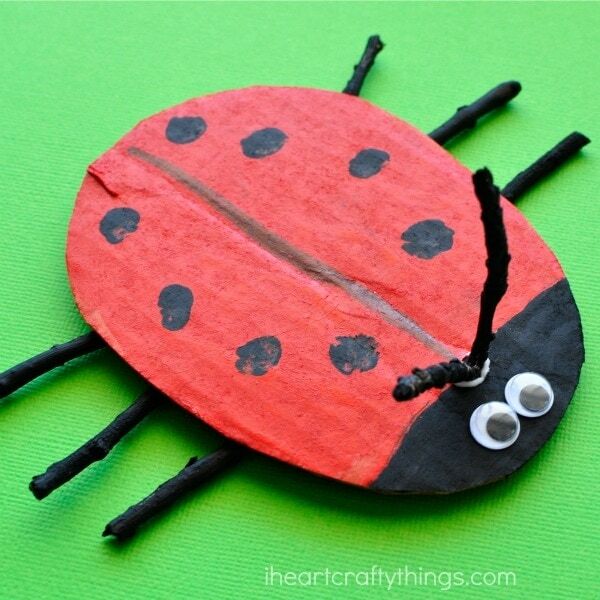 Use your tacky glue to glue your legs to the bottom of your cardboard ladybug craft. 4. Make a hole on your ladybug head with your hole punch. Trim down or cut your Y-shaped stick so the bottom of it is the right length to put down into your hole. Add tacky glue all over the bottom of your stick and inside the hole and push it down inside it. I definitely recommend tacky glue for this part (or a glue gun) since it is stronger than regular school glue. 4. 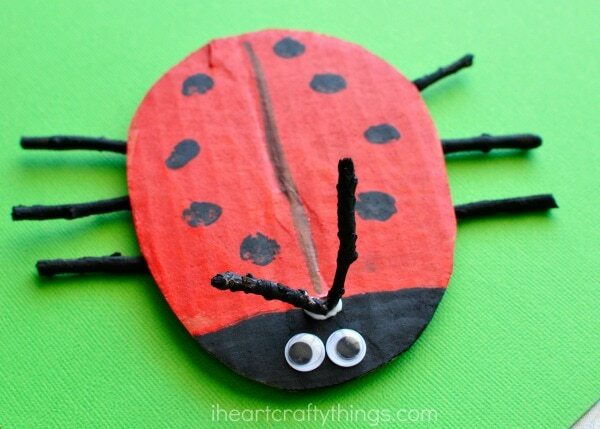 Finish your ladybug craft by gluing your googly eyes onto the front of his face. 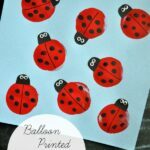 Allow your ladybug stick craft to dry completely before playing with it.